For the area's best pizza join us and many of your friends at Jake's. We use only the finest ingredients to create a great tasting pizza for you. We carefully roll out our fresh mae dough, ladle on specially seasoned sauce, and add fresh ground meat topped with quality Mozzarella cheese to make you pizza Super Scrumptious. 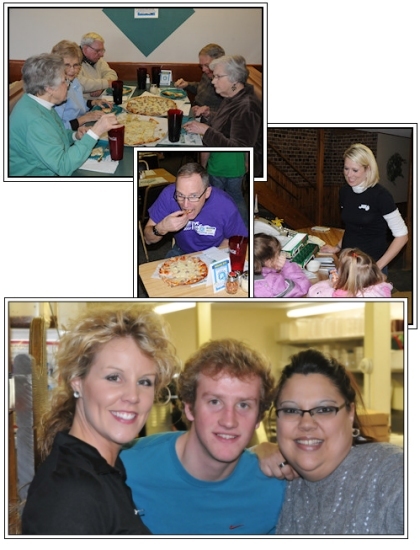 Located in downtown Willmar, Jake's Pizza is a local favorite for good reason. The Pizza is the best, the staff is friendly and efficient, and atmosphere is warm and inviting. Reserve our upstairs room for large parties like birthdays, families, friends, shcool groups, groom's dinners, and celebration of any kind. Group Discounts: Bring a group and get a discount. Choose from an all-you-can-eat special or other great deals. Fundraising: Ask us how it works.